The word arborist often gets thrown around a lot without people necessarily understanding what it means. In fact, many will refer to any old tree service professional as an 'arborist' – this is a faulty classification that tends to lead to customer dissatisfaction. Simply put, an arborist is someone who went and acquired certificates in tree care in order to prove his or her merit. As is the case with every other worthwhile profession, arborists are required to stay up-to-date regarding industry standards, practices and new insights and adjust in accordance with them. 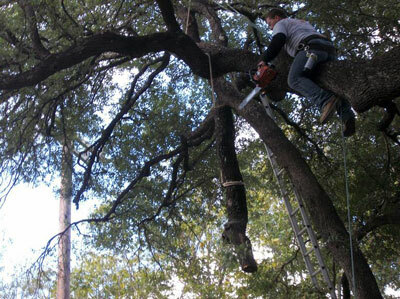 Essentially, an arborist is equipped to handle every aspect of tree and land care. Most often, arborists are hired to prune or cut down trees in a way that's safe for everyone (including the trees themselves). An arborist's day in the field can also include diagnoses, assessments, tree planting and anything else that a land owner might wish. A certified arborist is required to provide honest estimates and do good work at all times without ever putting profits ahead of quality of service – you'd do well to expect nothing less from each and every person calling themselves such. Think of it this way: would you rather hire a doctor or someone who likes reading about medicine? 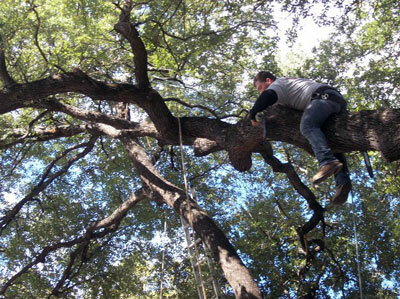 Whoever aims to become a certified arborist must have one thing going for them: a clear passion for trees and the preservation of their well-being. The process of becoming a certified arborist isn't easy, and the certificates aren't simply handed to you. To obtain them, you have to know your stuff when it comes to virtually every aspect of tree care from the moment when the seeds are planted to the time when the tree finally needs to be cut down. More than that, every good arborist will always aim to stay ahead of the game by acquiring new skills and knowledge – it's a lifelong trade, and one that true arborists will gladly accept as such. When hiring a certified arborist, you'll know that you're working with someone who knows what they're doing and likely isn't short on experience, either. You'll also enjoy the added benefit of knowing that the person has a genuine love for tree care as opposed to getting in the business because it seemed lucrative – this factor alone can make all the difference in the world when trying to guarantee a tree's health. ​Like people, trees can get sick in any one out of a multitude of ways. Tree diseases are fairly varied – some can be easy to notice while others require an expert eye. Again like with bacteria, there are many kinds of insects that can choose to turn your tree into their new home – while some are deadlier than others, trust us when we tell you that you don't want any insects breeding in your trees. In general, having bacteria or insects in your tree is a sure way to shorten its lifespan by decades. The fact that you noticed their presence isn't enough – you'll need a certified arborist to diagnose the exact type of infestation and apply the right cure in turn. 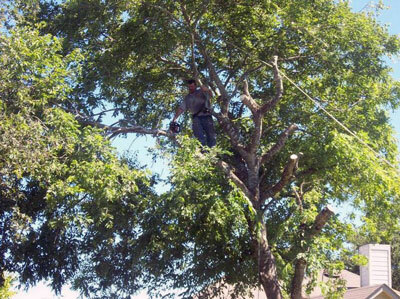 While they're most-known for their pruning and cutting services, there's a lot more that arborists are trained to do. One of those things is actually planting trees into the ground, be it from seed or root. If you'd like to add a healthy and long-lasting tree to your property, you should always look to consult an arborist before proceeding. Our arborist will carefully examine the environment – taking note of various factors like acidity in rain – before creating the optimal course of action to promote growth. Each type of tree reacts to different environments in its own way, meaning you should never make an addition before consulting a professional. A tree planted in an environment that's inhospitable for it won't last long and will make you regret not taking precautions. Our arborist can also provide advice on various other tree-related issues: for example, you might be curious about how large a young tree will grow and in which directions. Likewise, our arborist can help you better care for your tree in the future by constructing a 'care plan' based on the tree's type and the conditions that surround it (soil, air, water and so forth). 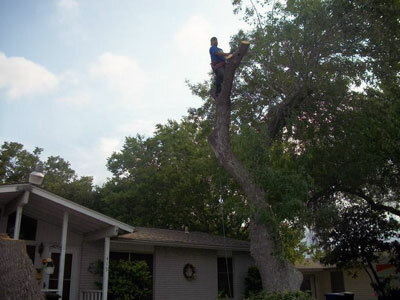 To know what's wrong with a tree, a close examination must first be performed by a certified professional. Noticing that there's something wrong is a good first step, but you'll have to follow up by giving us a call and letting our arborist figure out what the tree is suffering from. Unfortunately, many maladies that trees suffer from aren't visible in plain sight, which is why it's often too late to save the tree by the time its owner notices something being wrong. This is why we encourage all tree owners to schedule regular maintenance with a certified arborist present on-site so that problems can be detected in their infancy. Our arborist will inspect your tree for every possible issue it could have, letting you enjoy much greater peace of mind from there on. 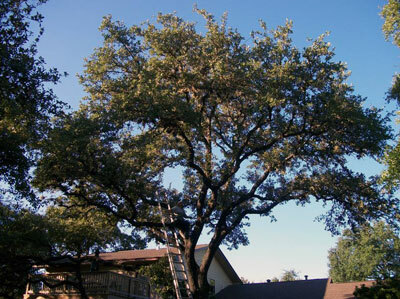 From damage caused by poor pruning choices to insect infestation to a lack of nutrients due to overgrowth in the tree's upper levels, our certified arborist will list every issue with your tree along with the best possible way of remedying it. The results of our arborist inspections speak for themselves – as long as the problems weren't left to thrive for months or years, we should be able to cure your tree and bring it to its original glory with a moderate amount of effort.